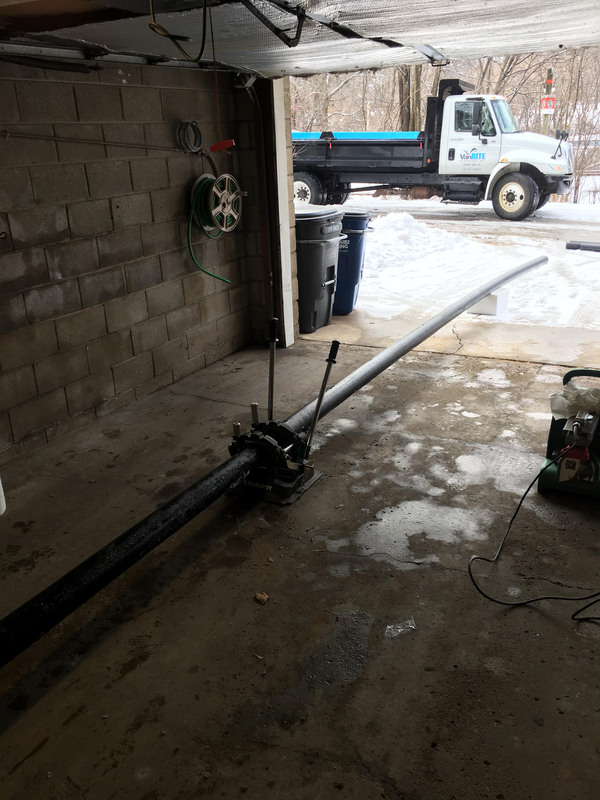 Van Rite Plumbing offers trenchless sewer and water pipe replacement services to homeowners, municipalities and businesses in Green Bay, and greater Wisconsin. Over time, your sewer and water pipes wear out and need replacing. When that happens, it’s important to call a contractor who can replace the sewer pipe without causing more costly problems by disturbing the soil, landscaping or pavement above the pipes. 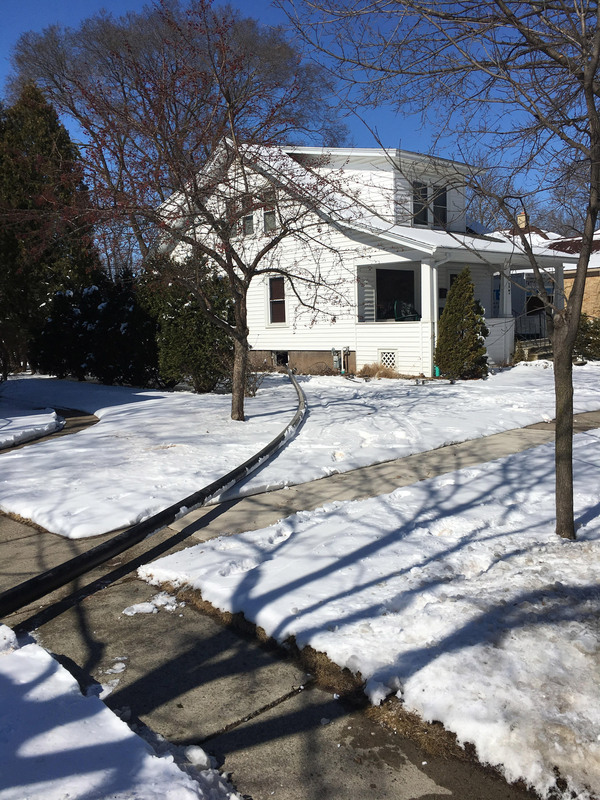 Traditional excavation leaves a mess for the property owner, causing driveways to be repaved, more grass to be re-planted and landscaping to be replaced. Those hidden costs add up! Plus, we can have your new sewer and water pipes installed the same day meaning less time for you living in a construction zone. 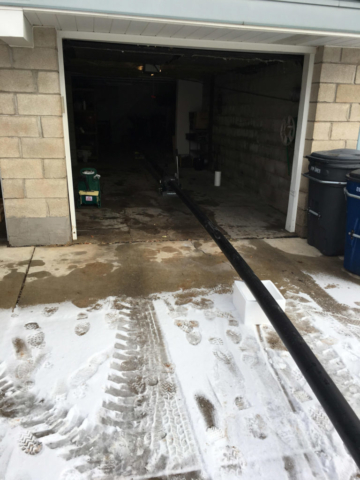 At Van Rite plumbing we offer trenchless pipe replacement. When we get to job site we evaluate where the pipe runs, and work to replace your existing pipe while simultaneously installing new pipe. 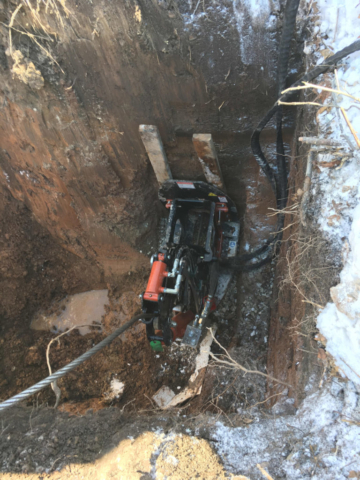 This technique is called pipe bursting. We also use the pipe pulling method when installing new pipe and we don’t need to worry about existing pipes. 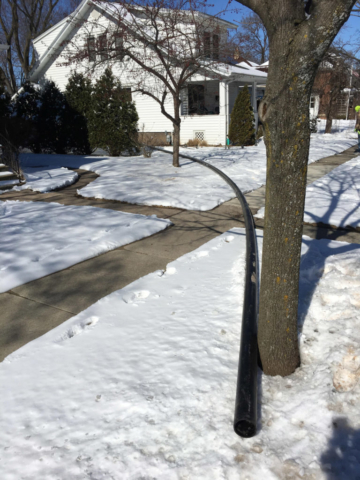 We work to replace lead, copper and orangeburg pipes commonly found in Wisconsin. 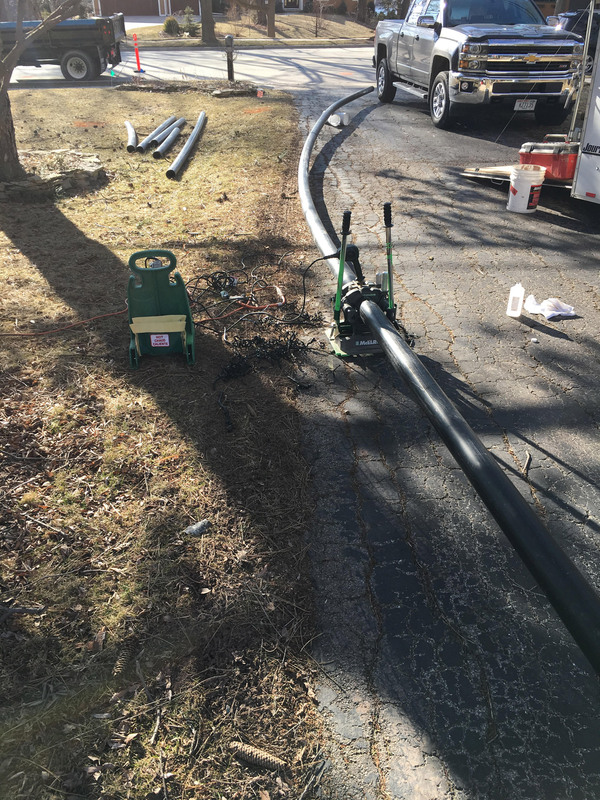 With our trenchless machines, processes and years of experience, you will have minimal disruption to your landscaping, driveways or sidewalks. When we are finished replacing your pipes, licensed master plumber Lee Van Rite will hook up your sewer and/or water pipes and turn your service back on. See how Van Rite Plumbing was able to install a new sewer pipe at this customer’s home in Wisconsin in the Winter without creating a mess.